This beauty looked like she was posing for me, circling high over the house. It was good that it came overhead as its defining features – clearly barred primaries or “fingertips”, downward pointing whitish head, and barred tail with dark tip – were clearly visible. 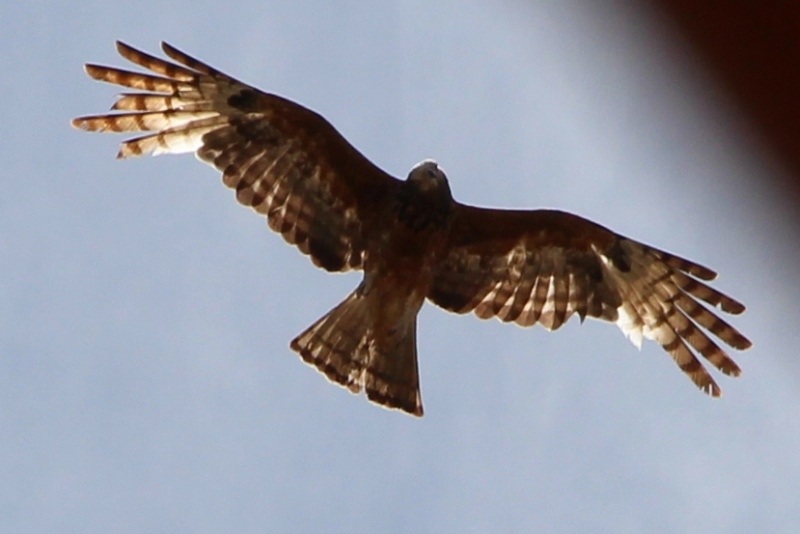 The Square-Tailed Kite (Lophoictinia isura) is found throughout Australia but with the population estimated to be under 7,000 it is listed as vulnerable in the New South Wales. Its wings span to about 1.4m (5′) and is about the same size as the Little Eagle.